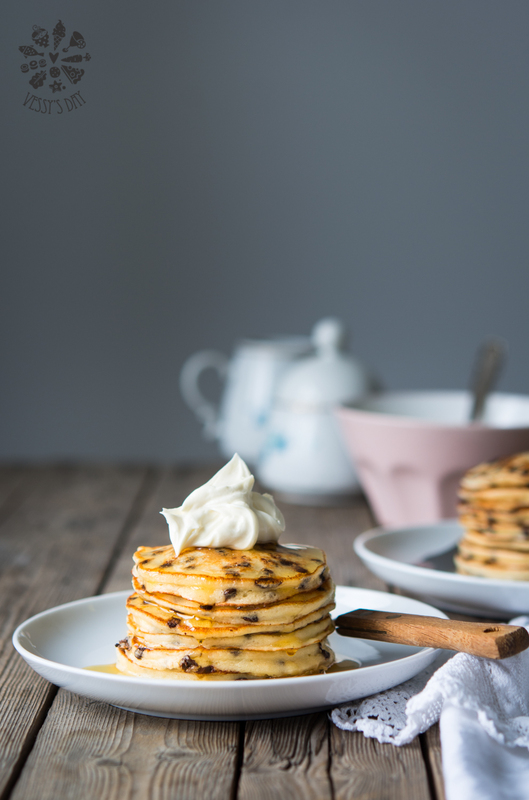 These ricotta pancakes are absolute heaven! Fluffy, soft, easy to prepare and packed with mini chocolate chips. You don’t even need nutella for these, because you can taste the chocolate chips in every bite. A little note about the preparation: beating the egg whites separately may seem like a lot of work, but trust me, it takes only about a minute. 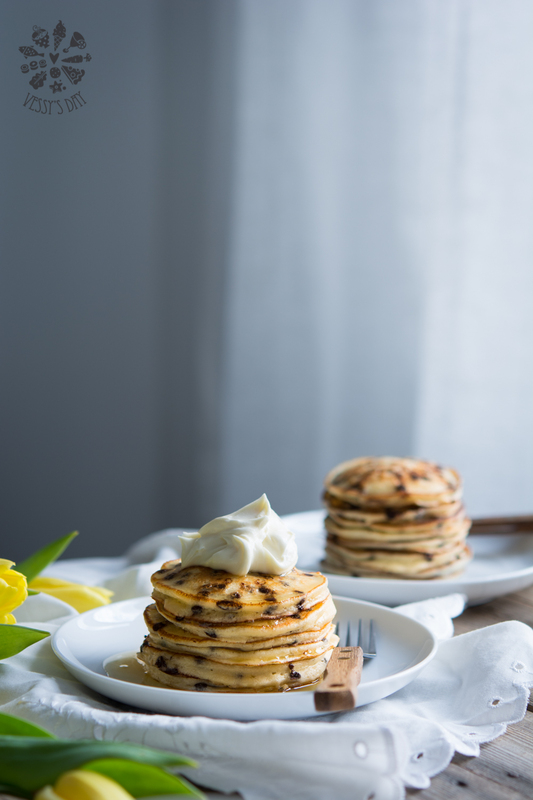 Adding beaten egg whites to the batter will make your pancakes so fluffy and light, that it will definitely be worth it. 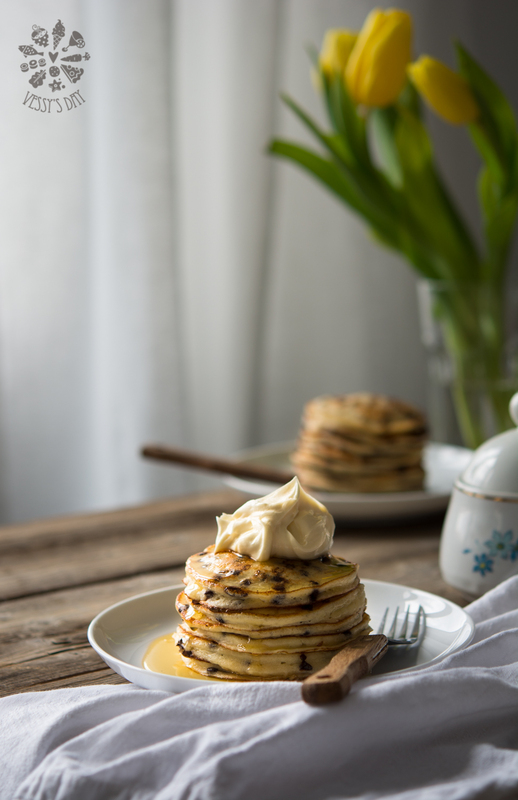 I have tried this recipe, using whole eggs, thinking that there will be no difference in the taste, but I have been so wrong – the whole texture of the pancakes had changed, those made with whole eggs can not compare to the ones made with the egg whites. So I guess, beaten egg whites are a must in this recipe. 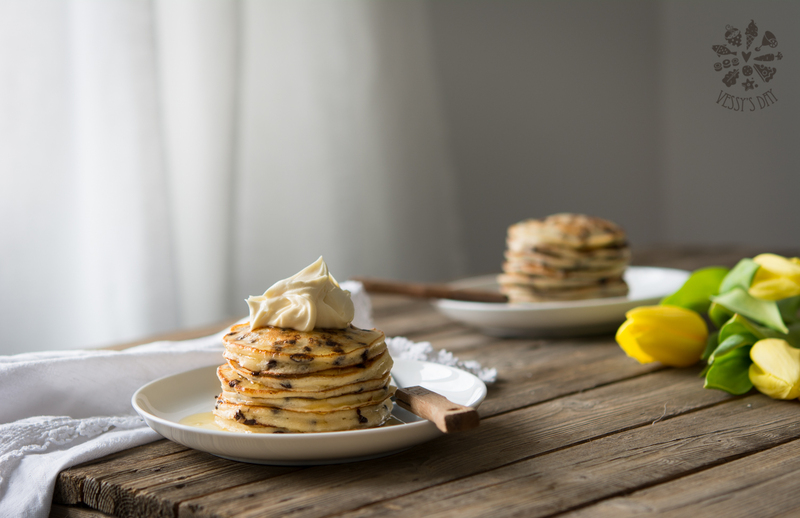 You can easily serve them with honey or maple syrup, jam, additional chocolate or nutella, whipped cream or honey mascarpone. In a large bowl combine flour, sugar and baking powder. In another small bowl combine egg yolks, buttermilk, ricotta and chocolate chips. Add yolk mixture to the flour and sugar and stir with a rubber spatula to combine. Beat the egg whites till stiff peaks form and gently fold in to the flour-yolk mixture. 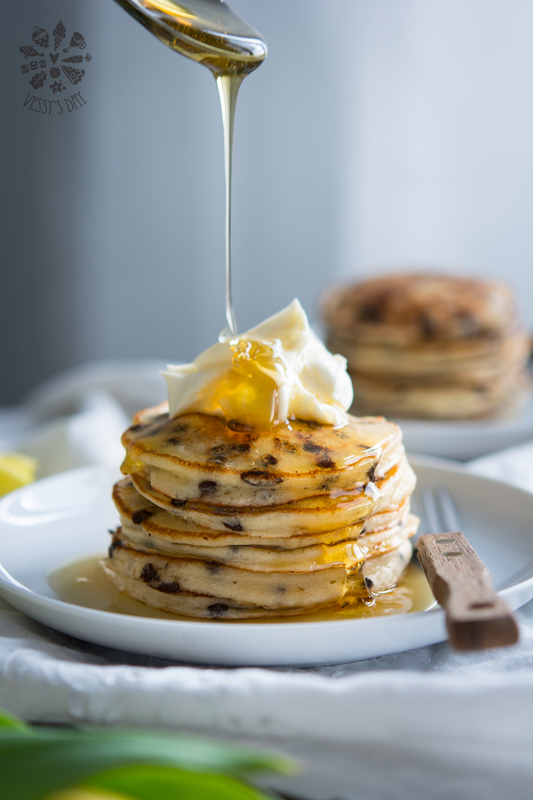 Heat a pancake pan over medium heat and brush with butter before you add the batter in the pan. Cook pancakes on both sides until golden brown. Serve with mascarpone mixed with a little bit of honey or maple syrup. Thalia, you should definitely try these pancakes. They are absolute heaven! I can tell just by looking at these pancakes that they are as fluffy as clouds. And guess what? I have a giant tub of ricotta cheese in my refrigerator just begging to be transformed into these beauties. Hi Lynn! Did you get the chance to make the pancakes?